Some of my best dishes haven’t been recipes at all… they’ve been what my Grandma Verla calls “kitchen sink” recipes, as in that you use everything but the kitchen sink, and use up that half-bag of whatnot in the cupboard and the half-cup of what-have-you in the fridge. It's all about knowing what tastes good together. You don't have to be a chef, you just have to love food. 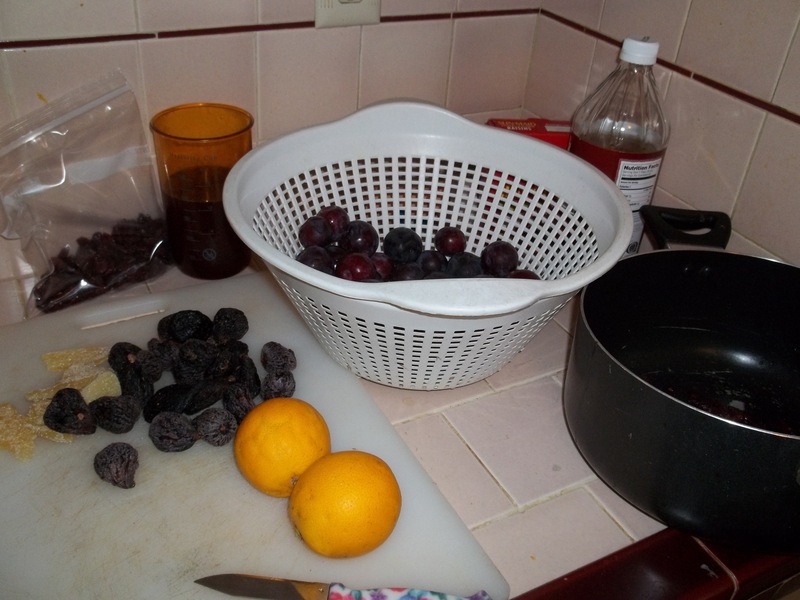 I was planning already to take some of my friend’s plums and smoke them in my smoker to make a nice BBQ sauce. After smoking a few kinds of meat this past weekend, over wild apple wood chips (mixed with a handful of chips made from the oak barrels they make Tabasco in), there was only an hour or so to smoke the plums, but I know they got some of that delicious woody flavor. The beginnings of BBQ sauce. 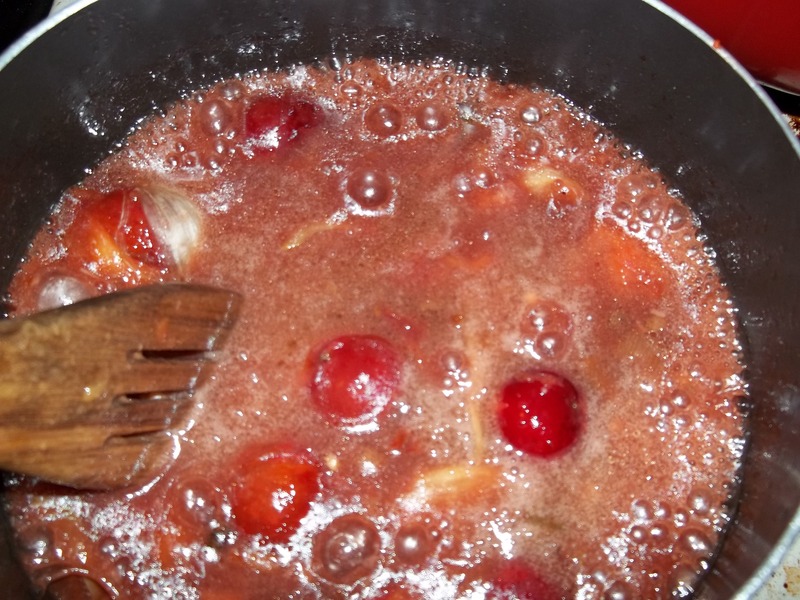 I also added some fresh and non-smoked plums, as well as some smoked garlic and smoked jalapeno. It all went into a big pot with oranges, orange juice, dried and chopped figs, a shot or so of brandy, a cup of my neighbor’s homemade margharita hot sauce, apple cider vinegar, some chili-lime flavored finising salts, candied ginger, shallot and garlic oil, tomato paste, a bay leaf, allspice, a dash of cinnamon, and various peppery spices. 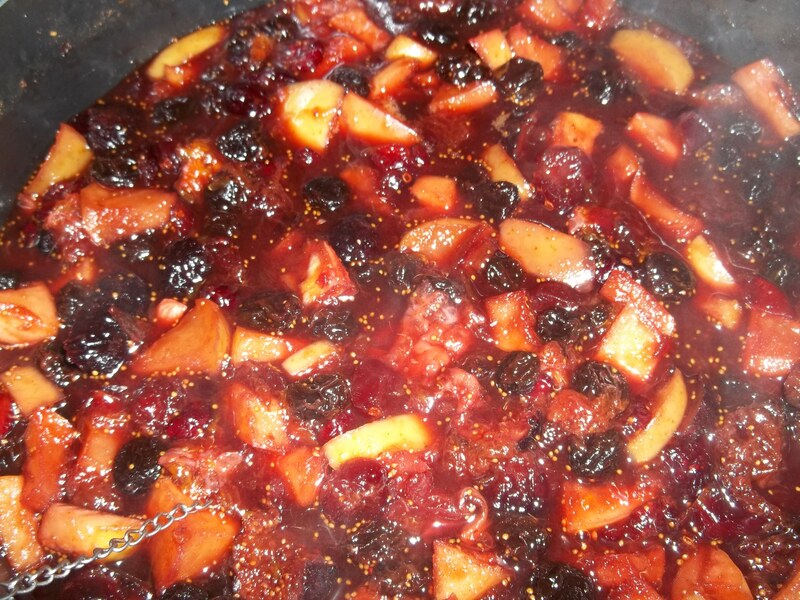 I let it simmer for hours and I am so glad … it has a delicious, sweet and peppery flavor, and a citrusy aftertaste. 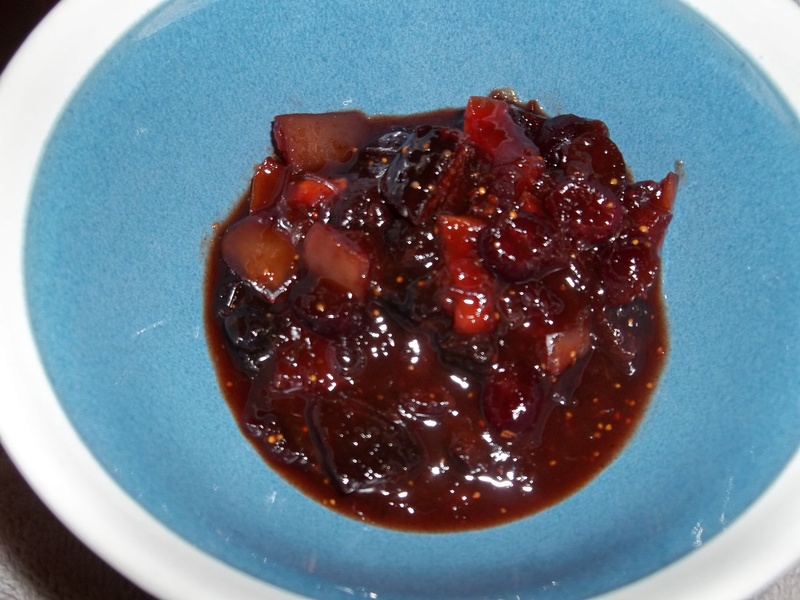 I also tweaked a delicious spiced plum chutney recipe: swapping the demerara sugar for half white and half brown sugar, plus I added raisins and some candied ginger for extra spiciness. This is so easy to cook, and like the best recipes, is born out of what you have lying around. It smells amazing while it’s cooking, and you can see as the cooking progresses how wonderfully the ingredients work together. And the finished product. So yummy. It’s lovely and tastes amazing on some pork tenderloin and chicken. I learned also that chutneys are best when they ave been allowed to sit and ferment for a few months. I can’t wait to break this out again for the holidays! 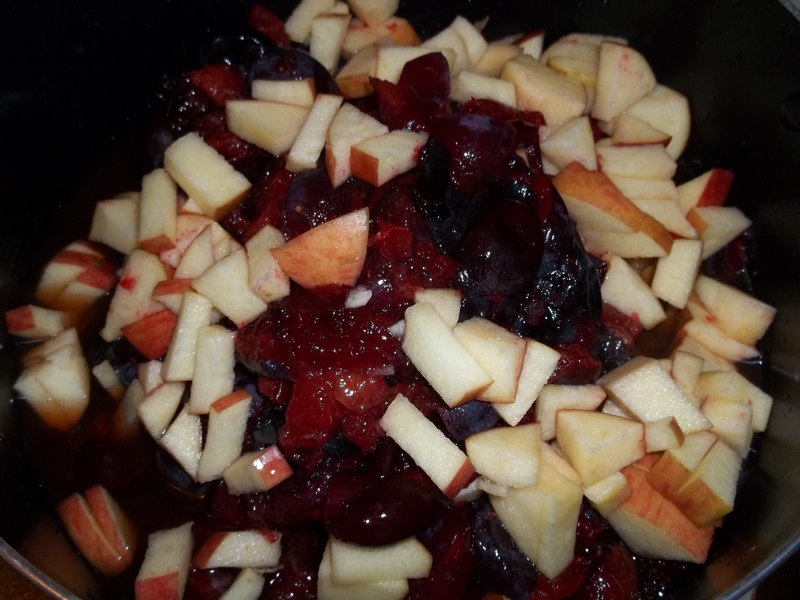 ** Note: After this post was made live, it was brought to my attention that my altering of the chutney recipe (adding raisins and ginger) might have altered the acid levels in the chutney. 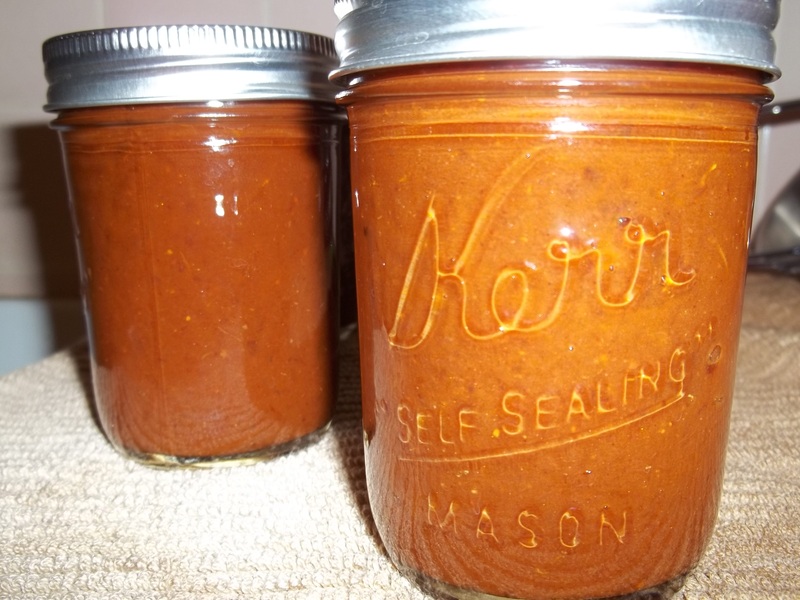 I used a pressure canner to seal the jars of BBQ sauce and chutney in this post. 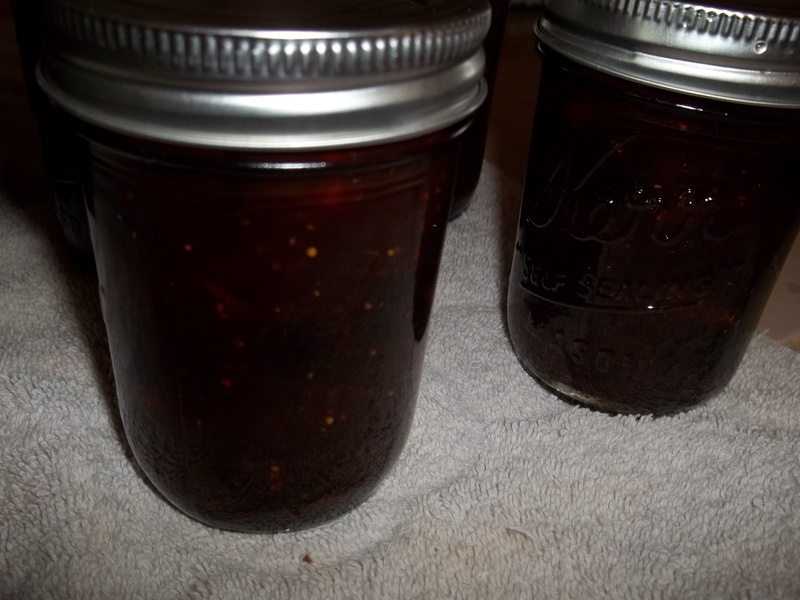 Just to be on the safe side, if you alter the recipe like I did, I would recommend that you seal the jars in a pressure canner instead of a water bath. This entry was posted in cooking, food, Uncategorized and tagged barbeque sauce, bbq sauce, bbq sauce recipe, christmas chutney, christmas recipes, chutney, chutney recipe, chutney recipes, convenience cooking, easy chutney recipe, fruity barbeque sauce, fruity bbq sauce recipe, fruity chutney recipe, jam, orange chutney, orange recipes, plum barbeque sauce, plum bbq sauce, plum chutney, plum recipes, smoked garlic, smoked jalapeno, smoked plums, smoky bbq sauce. Bookmark the permalink.